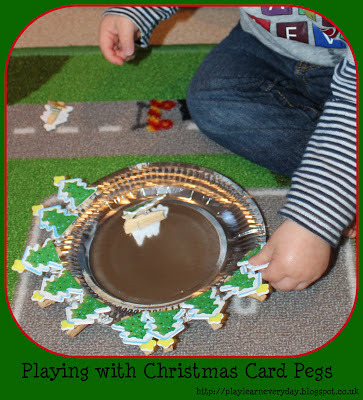 Today Ethan played with some cute little pegs with Christmas trees on them that are meant to be used to hang cards. I pegged them all around a shiny silver plate and let him have a go at taking them off and putting them back on. 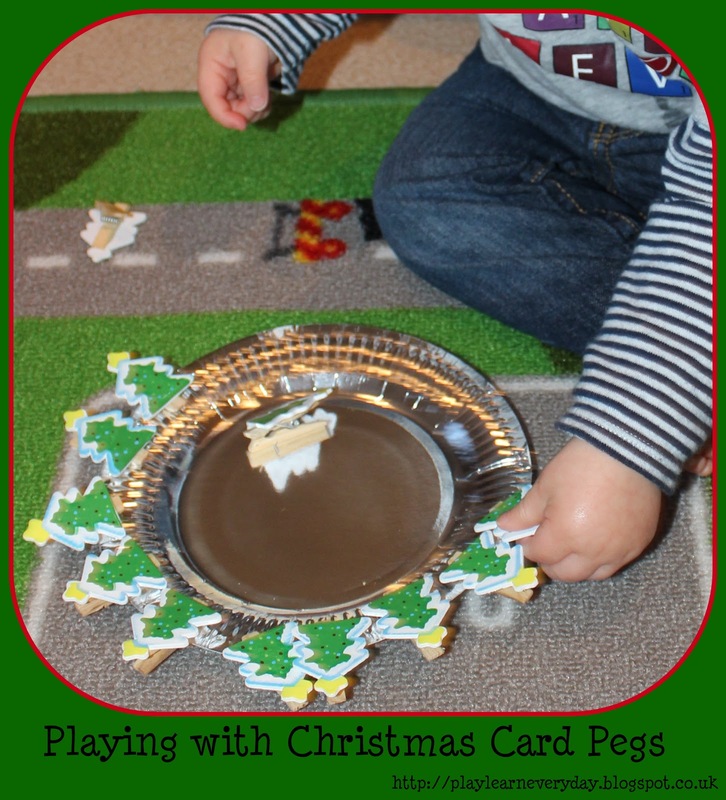 It's a fantastic activity for developing Ethan's fine motor control, which is a part of his Physical Development, as he opens and closes the pegs. He really enjoyed pulling the pegs off the plate and had a go at trying to put them back on and then handed them to me one by one to put back on the plate, so that he could pull them off again.